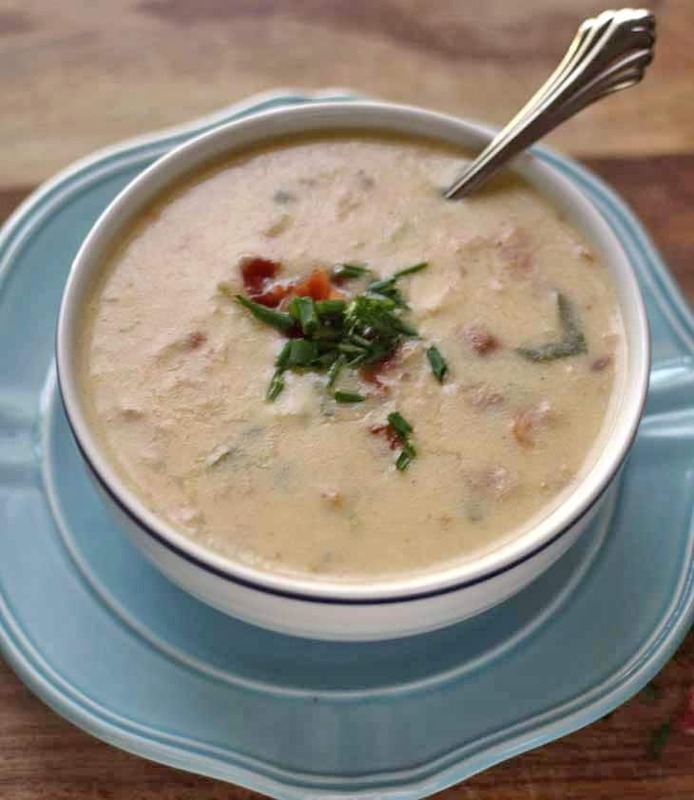 My secret recipe for loaded baked potato soup – full of cheese, green onions and cheesy goodness! 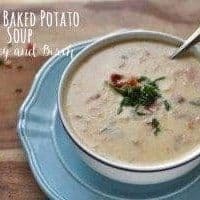 A few months ago I shared 8 great potato soup recipes from other bloggers, and this whole time I have been hoarding my own recipe for baked potato soup. I planned on including it in my future cookbook, whenever I get around to writing one, but no longer. I am sharing it now instead. I still can’t believe that I’m writing and sharing in general. For a very long time when I was asked what I wanted to be “when I grow up,” I would say a poet. I can’t imagine now trying to make money writing poetry. I have horrible stage fright and I would probably have to read my poems out loud and often. And if I ever got good, or recognized, then I would definitely have to recite. No thanks. And I think I really only wrote 2 good poems anyway. Kind of glad I got too happy to write sad poetry. Anyway. 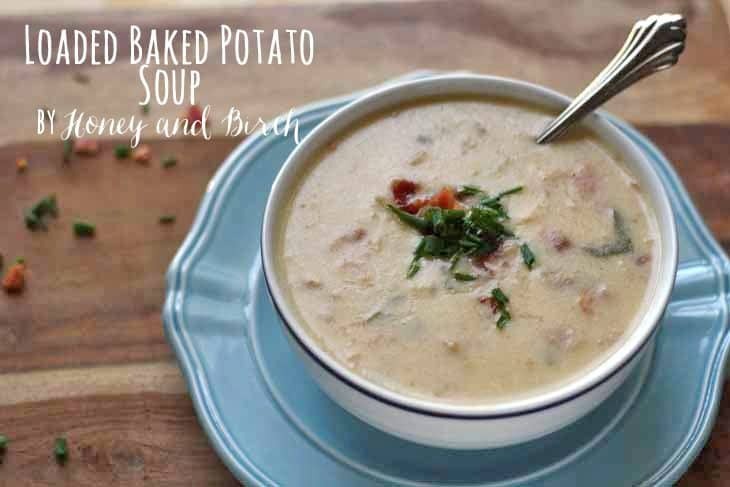 This recipe for loaded baked potato soup is really tasty, and really, really bad for you. Just take a peak at the ingredients. That’s really all I have to say. You can use low fat sour cream or reduced fat cheese – it will take away a little of the flavor but not enough that you really notice. I do not recommend skim milk or any dairy-substitute milk. I have only tried it once with almond milk so far, but it was way too sweet. We had to throw it out which is always a shame. In a large pot, bring the chicken broth to a boil over high heat. Add potatoes and lower heat to medium. When potatoes are almost done cooking (tender but still sticks on your fork), melt the butter in a separate sauce pan. When butter is melted, slowly whisk in the flour to create a roux. After all the flour is added, slowly add the milk, whisking the whole time. Add the salt and pepper to the milk, and stir occasionally. When the milk mixture is brought almost to boiling, add it to the potatoes. Add the sour cream to the soup, stir well (see cooking notes). Add the cheese and stir until melted. Add the green onions and cooked bacon and stir well. Serve hot. If desired top with additional bacon, cheese, sour cream and/or green onions. I always heat up the sour cream before adding it to the soup – when you don’t warm it first, the sour cream tends to curdle. To heat it up, I just add it to the used milk pot and heat it just to boiling and then add it to the soup. Also note that your potatoes will fall apart because of the long cooking time – this is supposed to happen. 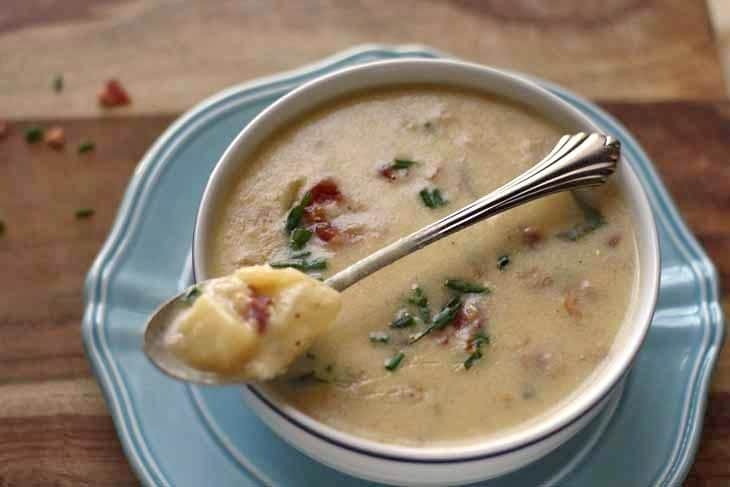 It helps to thicken the soup without having to add too much flour. Do you have a potato soup recipe for the crockpot/slow cooker? Hi Laura. 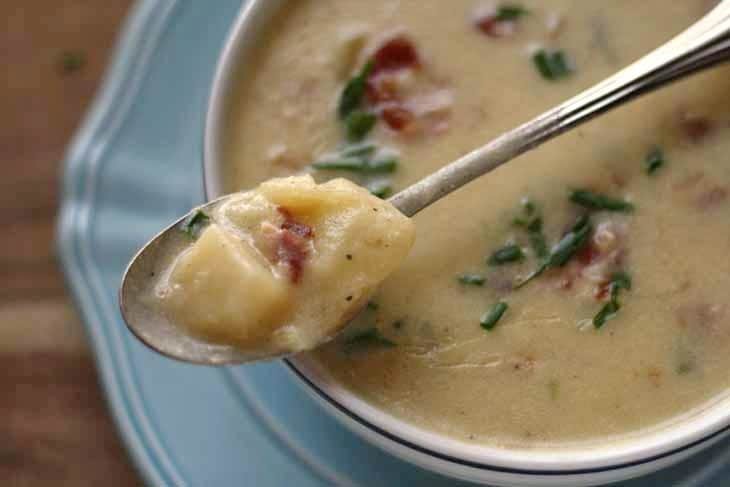 Unfortunately, I do not have a slow cooker potato soup recipe. I will add it to my to-do list!